This music constitutes Brahms' most important contribution to the piano literature. 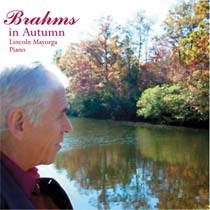 A lifelong Brahmsian, Mayorga plays these pieces with an orchestral approach that is direct and personal. Sheffield's piano recording is warm, intimate and immediate. Produced and engineered by Greg Steele.